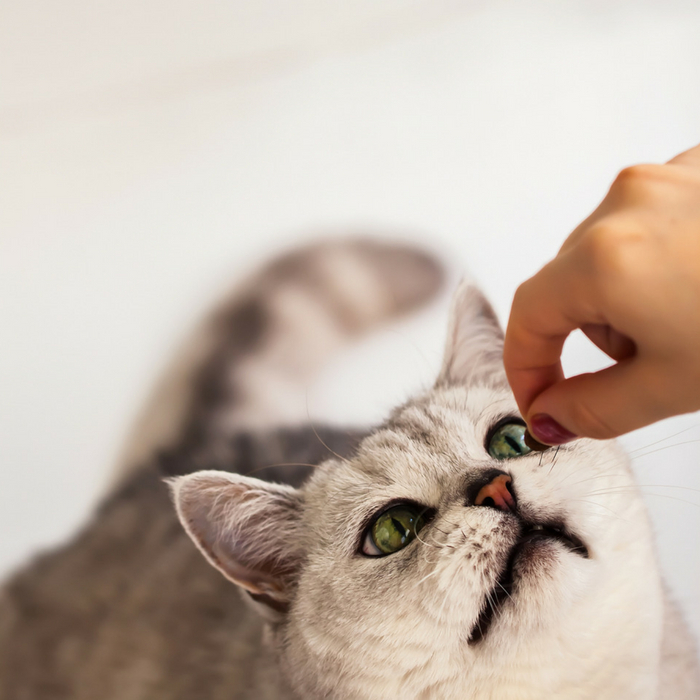 If your cat tends to be a little anxious or stressed, consider trying these top-rated cat calming treats and products. Cats are just like humans and can experience stress and anxiety from many things. Whether it be a trip to the vet, a move to a new home, a new pet, or even living on a busy street. 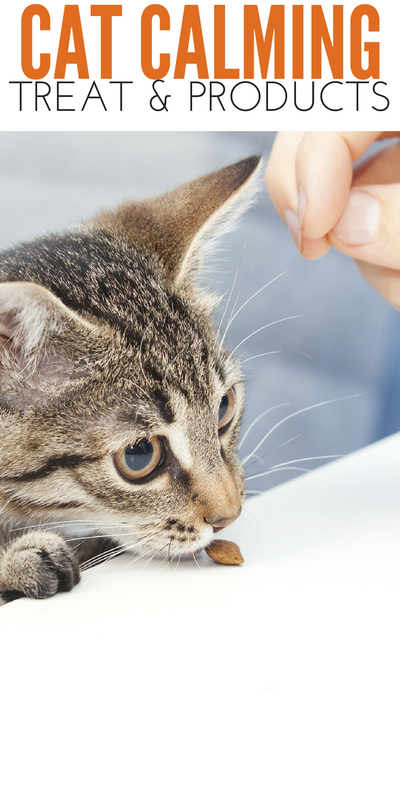 Cats are pretty sensitive, and sometimes cat calming treats are a great way to take the stress and anxiety away from your cat. I know for us I have seen our cats over the years and even our dogs portray anxiety from time to time. We had a Dachshund who would get anxious anytime someone would come to our house. Then we had a cat growing up who would hide from strangers (rescue cat). Sometimes no matter how much love you show your pet, they just are anxious at times. I have found some of these cat calming treats to work on our cats in the past when they didn’t seem to get relief from anything else I had tried. If you are like me, consider buying a package of treats to try! The reason why you should consider a cat calming treat or product is that if you have ever dealt with anxiety you know how hard it is. Imagine your cat scared to death and has no way of telling you they want out of the situation. A spray, chew, or even a collar that can help safely calm your cat is truly a blessing. No one deserves to live in fear or anxiety, even if it is an animal. Pet Naturals of Vermont has some calming chews that work great for cats and dogs. I like when you have a product that covers both animals so that if you have dogs and cats in your home you buy one product that works for both or either of them. I know with the 4th of July around the corner many pet owners reach for chews like this to help calm those nerves. This hemp oil for cats is not a chew per-say but it gives the same effects. Use the oil to help calm them quickly. This oils is safe for your cat and can even help with arthritic pain and help your cat not to scratch as much. Even though this isn’t a chew, it is a very top-rated cat anxiety and stress relief product so I wanted to share this as well. Elite cat calm chews are great and have Hops flower extract which is an all-natural sedative. This can help your cat feel come in those situations that would normally overwhelm them. Many cat owners have really said this is a great chew to buy, that is nice and calming for your feline. If you are not comfortable letting your cat ingest chews you might be interested in these calming collars. You put the collar on and it releases pheromones which help to keep your cat feeling nice and relaxed. You can have your cat wear the collar for a full 30-days and then replace it with a new one at the end of the month. Another great option is this Pet MasterMind Cool Kitty Spray. You could use this spray for when you take a trip with your cat and don’t want them to feel stressed or overwhelmed. Also, a good one to keep on hand for vet trips, having guest over which might stir your cat up.